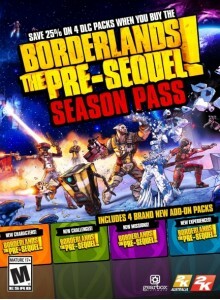 Official Download for PC & Mac If you own the Borderlands: The Pre-Sequel Season Pass, DO NOT purchase this as it is already included in that product. Handsome Jack’s found something ludicrously powerful within CL4P-TP’s mind. Never one to turn down more power, Handsome J.. 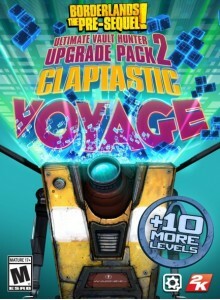 Extend the lunar mayhem with the Borderlands: The Pre-Sequel Season Pass featuring new characters, challenges, missions, and more: Handsome Jack Doppelganger Pack Play as everyone’s favorite maniacal tyrant-in-training…or at least his body double. 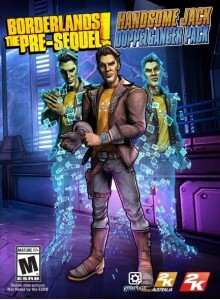 With the Handsome Jack Doppelganger Pack, use ..
Official Download for PC & Mac Play as everyone’s favorite maniacal tyrant-in-training…or at least his body double. With the Handsome Jack Doppelganger Pack, use the power of your good looks and charm to distract your enemies into submission. 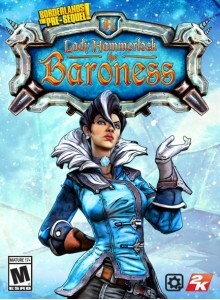 Or, just cut them down to size with your witty..
Official Download for PC Introducing Sir Hammerlock’s sister, Lady Aurelia the Baroness! Nobody’s as cold as she is, literally, as her “Cold-As-Ice” action skill inflicts tons of cryo damage on the baddies of Elpis. 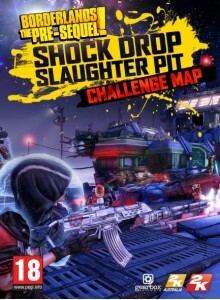 She can also turn any co-op partner into a servant using her Contractual Aris..
Official Download for PC & Mac Enter the Shock Drop Slaughter Pit and face off against the toughest Scavs on Pandora’s moon, Elpis! Survive the battle and you’ll be feared and respected by the few left alive… not to mention the experience and gear you'll earn! Please Note: Th..